Dwarf Lop Eared rabbits were initially developed in Holland around 1950s from French Lop. The appearance is pretty similar to Mini Lop, with the ears down to earth, just different is size that slightly bigger. 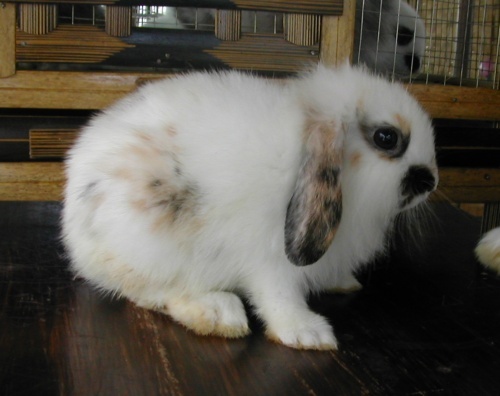 With weight between 2 – 2.5 Kg Dwarf Lop is considered as small rabbit. They have many varieties of colors, although not as complete as compared to Mini Lop. Their typical personalities are usually friendly and docile, make them good choice as pet rabbit. Dwarf Lop: miniature version of French Lop rabbit.